Click here to create your own custom badge! 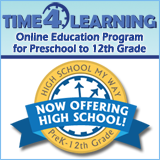 I’m using Time4Learning’s homeschool curriculum! 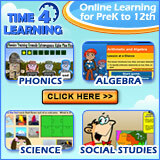 We’re using Time4Learning’s online curriculum and loving it! To create your own custom homeschooling badge, choose a design and a message. Then copy and paste the two sections of code, below, into your website or blog code. 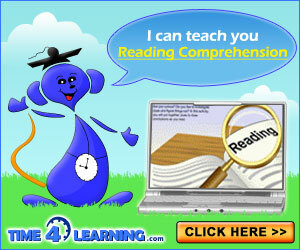 The first section gets pasted into the head of your website. The second section gets pasted wherever you’d like your badge to show up on your site. Select Badge Message My kids love learning on the computer! Proud Homeschooling Family Since ____! Homeschooling for ____ years! My child loves homeschooling! Time4Learning family since ____. Homeschooling since ____! Proud Homeschooling Family! My kids love learning on the computer! Copy and paste this code into the header of your website where you want the badge to appear.